What is AIR? 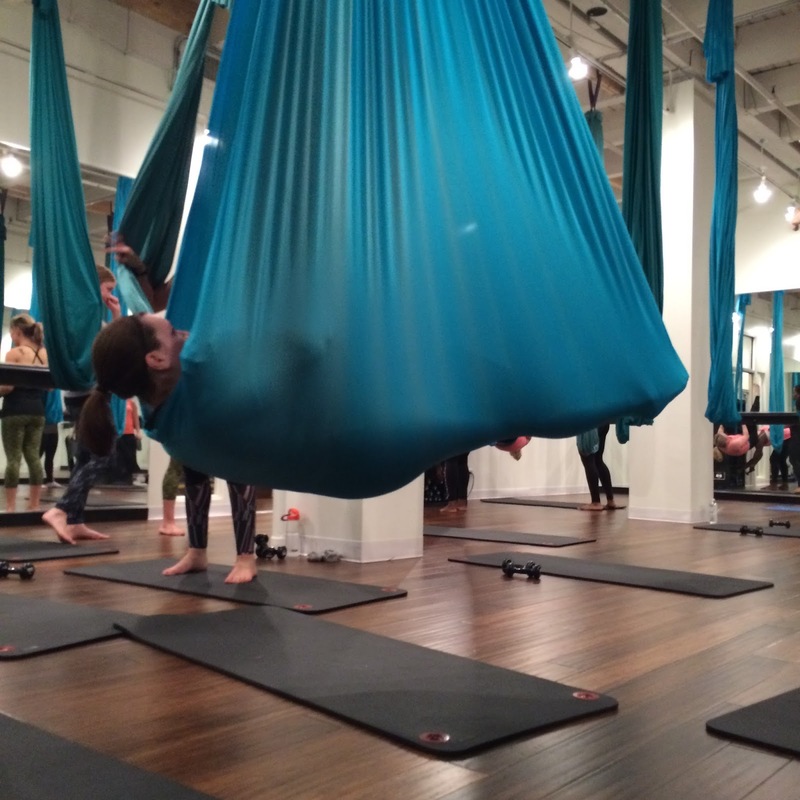 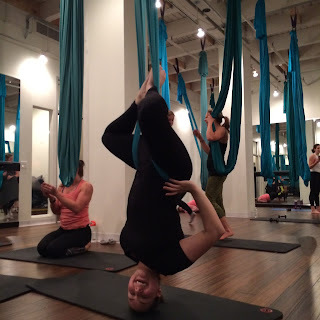 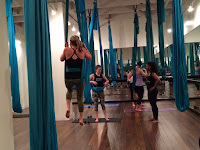 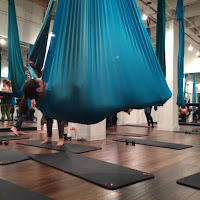 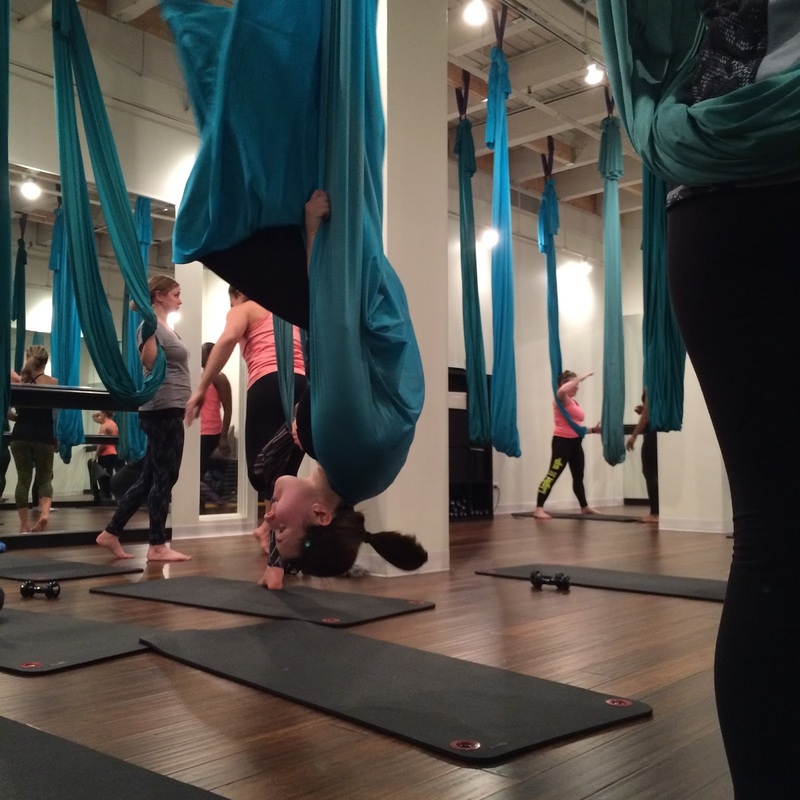 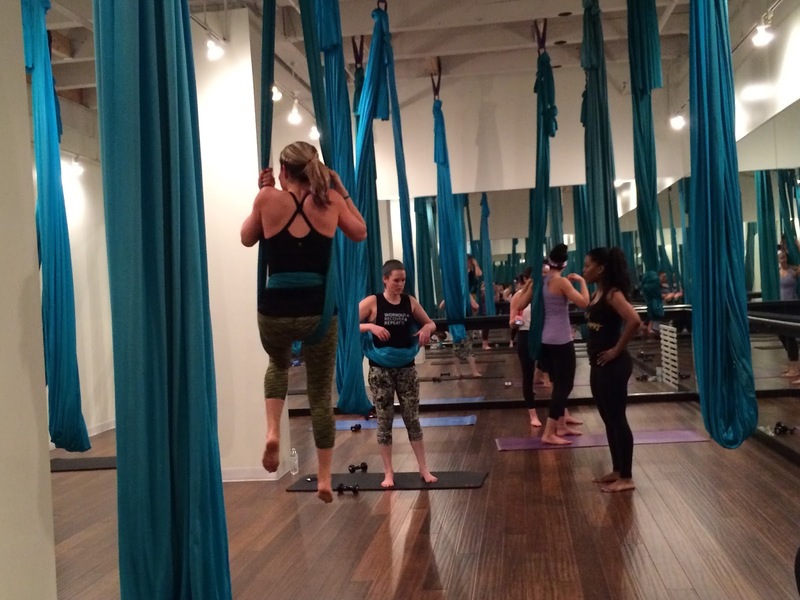 AIR Aerial Fitness is an intense suspension-based fitness program fusing barre with yoga, Pilates and aerial silk hammocks. 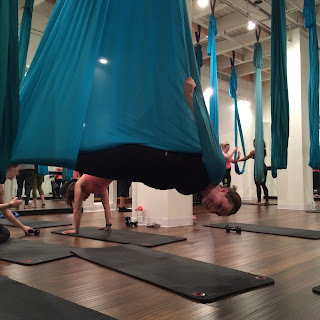 If that doesn’t already sound terrifying enough, sometimes they even incorporate a little interval training for fun. 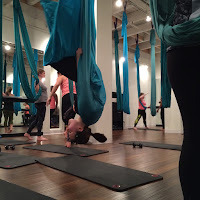 The studio offers two types of hour-long classes - AIR Foundations for beginners and AIR for intermediate to advanced participants.